I love a good Instagram! If, like me, you love Instagram too you can’t have missed the annual ‘best nine’. If you don’t do Instagram, the idea of the best nine is that Instagram will make a collage of your nine most popular (most liked) posts. I can’t resist it! Most of these pictures are from me-made-may. 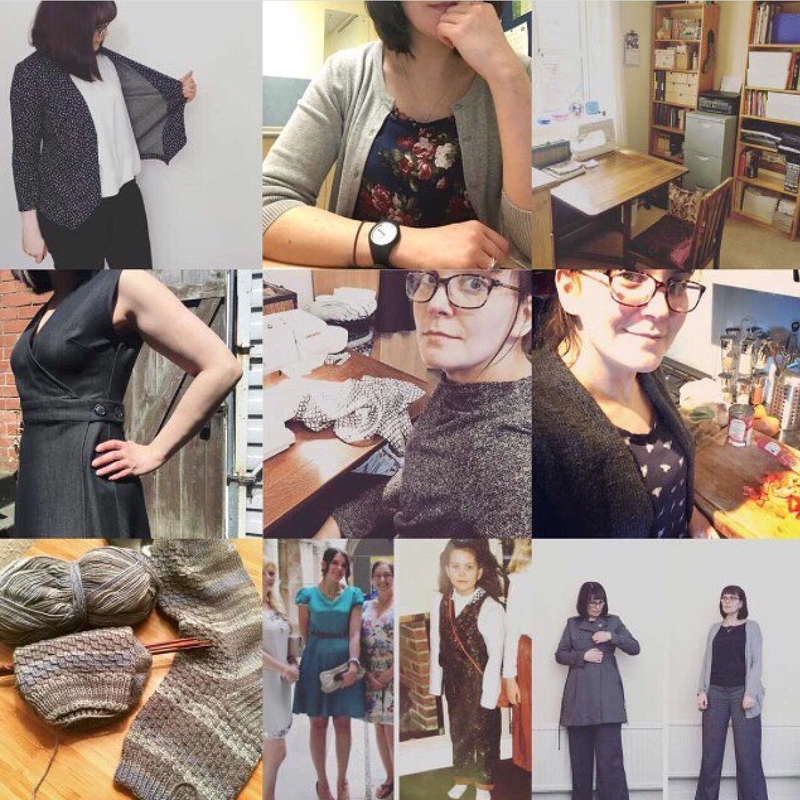 Top left is my beloved Ponte Morris Blazer, top right my new favourite room, bottom centre is the first dress I made next to an outfit my mum made for me, and some sock knitting thrown in for good measure. All good pictures, but not really reflective of my makes over the last year. 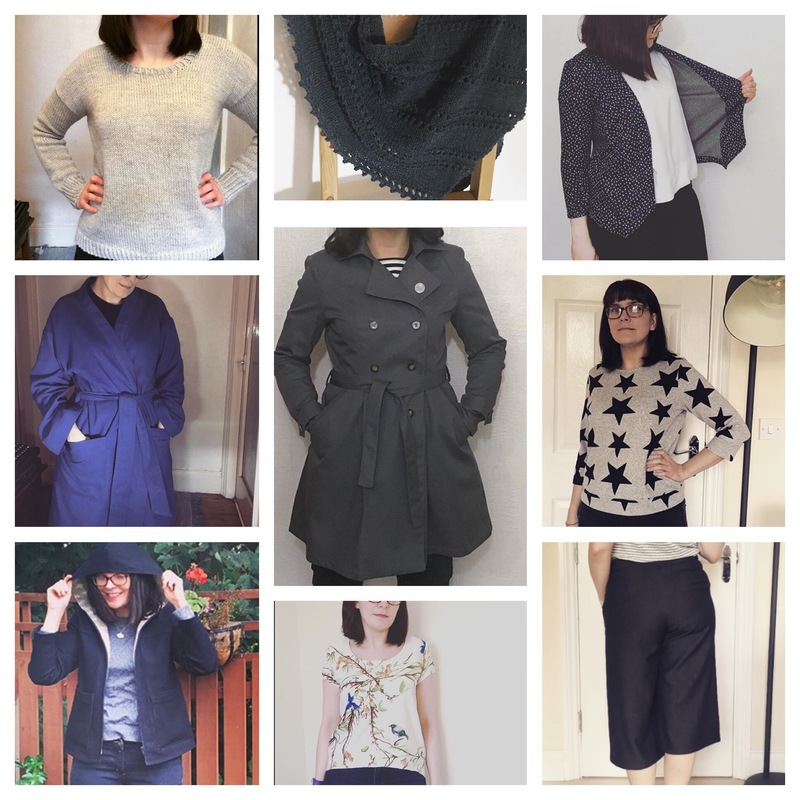 Oh yes… it’s been a good sewing year. Up on the top left is my selfish sweater from January. I made up the pattern (it’s just a square with sleeves), and used cascade 220 in 100% wool… oh my word it’s warm. I love it soooo much. Centre top is my take on the Age of Brass and Steam scarf, I made it as a crescent shawl rather than a kerchief. It’s been so snuggly this winter. Top right, once again, is my Morris Blazer. It got worn… a lot! Centre left is my brushed cotton dressing gown. It was quite a big project which resulted in an awesome summer dressing gown. In the centre is my ultimate favourite… my Luzerne Trench. This is the biggest thing I have ever tackled! I took my time and tried to get a really professional finish… the result? My mum didn’t believe it was handmade when she saw it… engage smug mode! Centre right was a surprise. It’s a Fraser sweatshirt, which I have made before, oversized but with small sleeves. 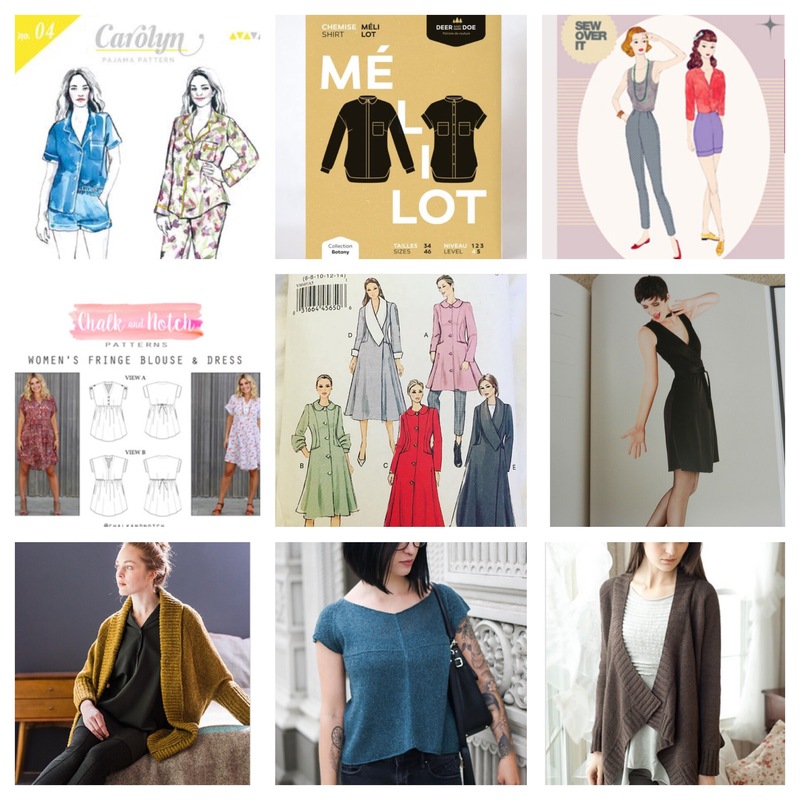 The fabric, pattern, and fit are just the perfect storm of awesome projects. I was sad when it got too cold to wear it! Bottom left is a vintage raincoat pattern that I made in heavy denim. I had plans to use waterproof spray on it which I haven’t quite managed yet. I love a hood! Bottom centre is one of my Scout Tee makes, it’s mostly special because of the fabric choice, but also because of the high-low hem. And on bottom right… my first trousers!! That was a game changer!! My final nine collection… I have joined in with ‘Make nine’ this year. Last year I decided not to plan anything and to go with the flow. I have missed planning though, I really enjoy it! So this year I am planning just a few things, both sewn and knitted. 7) Ronan cardigan. 8) Eavesdrop linen tee. 9) Breezy Cardigan. An achievable target I think… let’s see how well I do.